Click on bottom photo for full resolution image. Peggy and I took a class on "Night Photography". I must say, I was impressed with the results of the field trip. It was a bit cold but I muscled through and was very pleased. 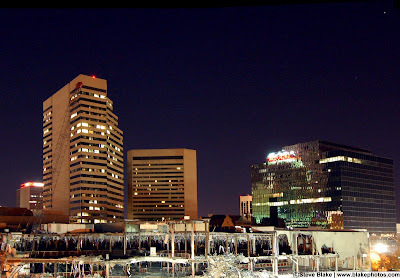 These two images were taken from the roof of the parking garage on the corner of Rich and Third Street (http://bit.ly/CityCenterMall). 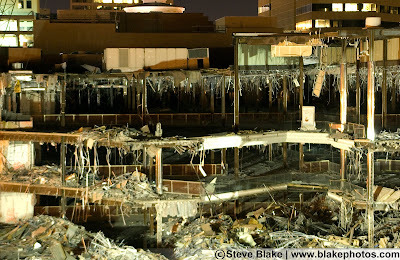 This 1.2 million square foot mall has been standing for 20 years and in the name of advancement, is being torn down.